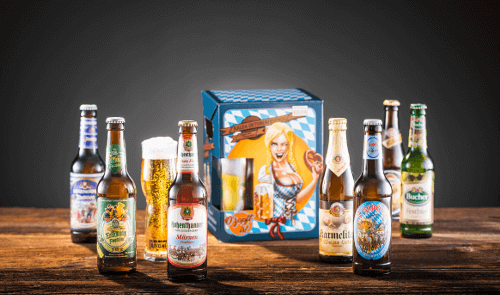 With the Oktoberfest Box you can experience the “Wiesn” in your own living room! O’zapft is! (This phrase is shouted when the first beer barrel is tapped) With this Bavarian motto in mind, we created the Oktoberfest beer box. It features 7 Bavarian Oktoberfest-beers as well as a tasting glass. The perfect gift for a true Bavarian (and those who aspire to become ones)!